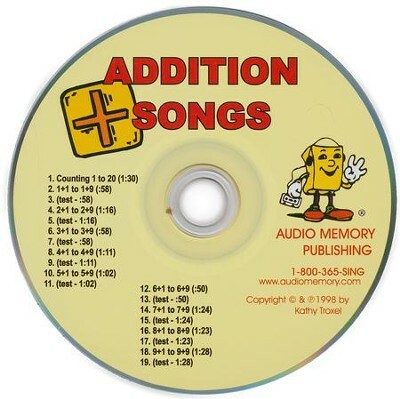 This Audio Memory Addition CD is sold-separately as a replacement for those who already own the Audio Memory Addition Book & CD Kit or Audio Memory Addition Book. Addition Songs teaches kids how to count from 1-20, as well as how to solve all addition facts from 1+1 to 9+9. 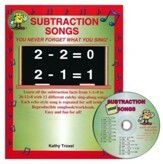 Each song is repeated with a pause when students may answer before hearing the solution; a sing-along test is given after each song. 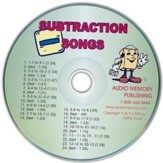 19 Tracks on CD including tests. 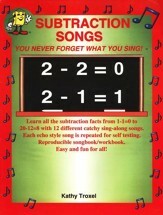 Grades 3 & up. 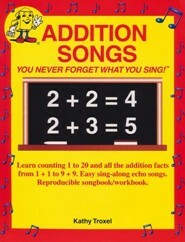 Workbook not included. CD comes in paper sleeve. 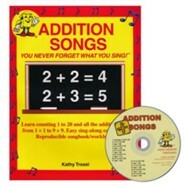 I'm the author/artist and I want to review Audio Memory Addition Songs CD Only.